A perfect Retro feel garden tub planter in 3 sizes , inspired by the "dolly tubs" of the 1960s and working well with the trend for an industrial feel in homes and gardens. 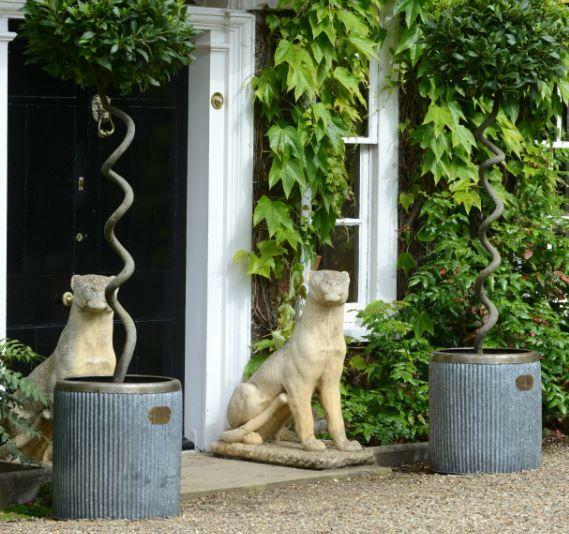 Made from premium quality galvanised zinc which allows your plants to stay cool in the Summer but warmer in Winter. The antiqued brass plate and iron aged finishing adds to the authentic feel. PLEASE NOTE the metal will oxidise over time to blend in with the natural settings of your garden and plants and since they are hand beaten and crafted they will NOT be fully watertight so for external use only. Please call the Ingarden team on 01732 463409 for more information.